We chatted with Barrett Comiskey, one of the fathers of electronic ink, about the beginnings of the technology and what the future holds for the energy-saving display. 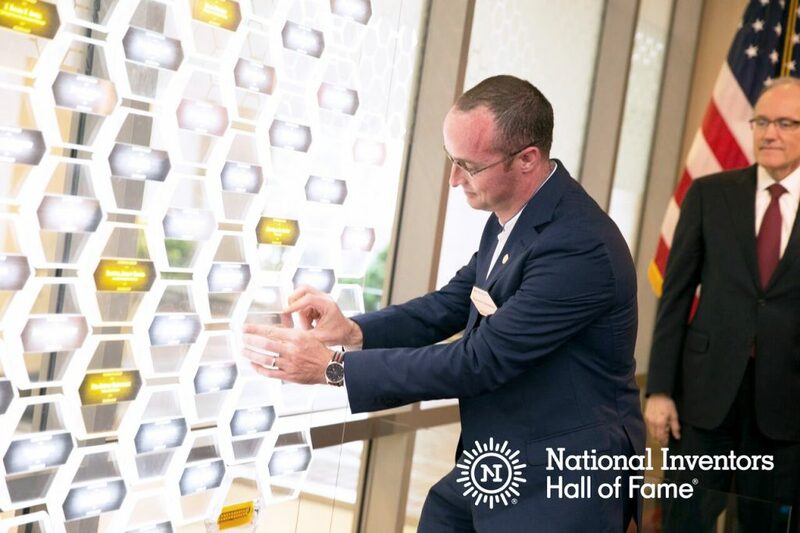 Along with JD Albert and Joseph Jacobson, his co-inventors, Comiskey has just been inducted into the National Inventors Hall of Fame, joining the likes of Alexander Graham Bell and Steve Jobs. “Early one morning in January 1997 we took a microcapsule, put it on a slide in between two pieces of copper, put it under a microscope, and for the first time were able to see a particle moving back and forth,” remembers Barrett Comiskey. It was the last decade of the 20th century and Barrett Comiskey, Joseph Jacobson and JD Albert, two students and a professor from MIT’s Media Lab, had just created a prototype of the electrophoretic electronic ink display, a technology mimicking the appearance of printed word on paper. Building on the work from the 1970s, the display used electric charge to rotate black and white ink particles inside tiny capsules located in the screen. This allowed the display to draw crisp black and white images with very little energy (you can read more about how e-paper works here). Electronic paper would go on to power over 70 million e-readers and revolutionize the world of digital signs, proving itself through energy efficiency and paperlike readability. Some two decades later electronic paper would go on to power over 70 million e-readers and revolutionize the world of digital signs, proving itself through energy efficiency and paperlike readability. 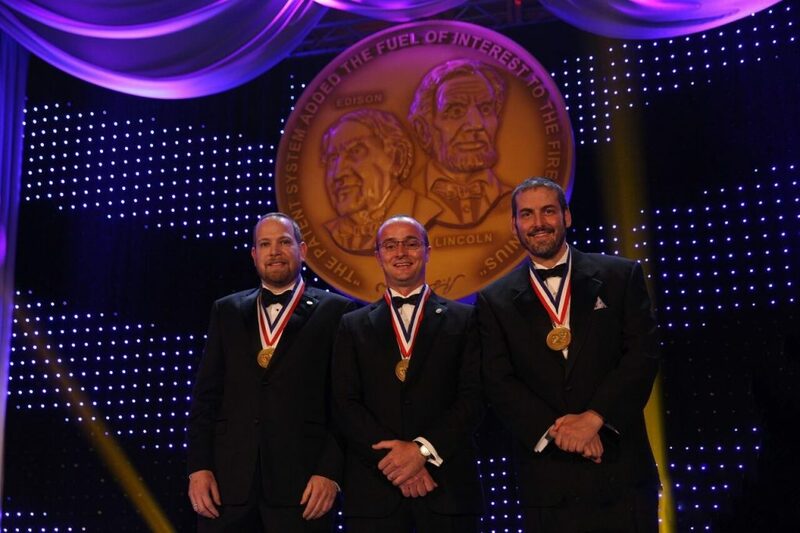 In recognition of their contribution to science, the fathers of electronic ink were inducted in the National Inventors Hall of Fame on May 5, 2016 at the 44th induction ceremony that took place in Washington D.C.
As e-paper joins other inventions that have advanced our society and shaped our future such as the airplane, telephone, automobile and the personal computer, we spoke with Barrett Comiskey, who went on to found E Ink®, about the early days of the technology and what he believes the future holds for electronic paper. What was the intention behind creating a technology that would mimic the appearance of ink on paper and did you draw inspiration from other ‘electronic paper’ attempts of the past such as Xerox’s Gyricon? How does the electrophoretic eink display differ from these early prototypes? Joe Jacobson’s initial proposal for the fabrication of electronic paper was to take Nicholas Sheridan’s (of Xerox PARC) concept from the 1970s and place those bichromal spheres into individual microcapsules, and lay them down in a monolayer. As I began attempting to build the components of that system, there were numerous practical challenges – challenges in fabrication of the uniform bichromal microspheres and huge challenges in attempting to place them into individual microcapsules. Experts in the fields of chemical engineering and material science were highly skeptical that we would be able to create oppositely-charged particles and place them into a microcapsule. And so we set out to do it ourselves, and were ultimately successful. In the course of my experimentation, I rediscovered the electrophoretic display. This is a particle-based display, which was conceived originally by Isao Ota in the 70s, where white particles in a dark dye, or oppositely charged particles in a glass cavity, provided the contrast media. Ota’s electrophoretic displays were able to achieve the highest brightness and contrast ratio of any type of particle-based display. After Ota, others had also attempted to improve on the electrophoretic display, but these displays were plagued by significant practical fabrication and lifetime issues, similar to the Gyricon. As I learned more about the specific lifetime issues of electrophoretic displays, I became convinced that the microencapsulation of a continuous dispersion of pigment particles in an oil phase could not only realize 90–95% of the optical advantages of electrophoretic displays, but could actually overcome the gravitational settling and the long-term particle agglomeration. What were some of the challenges you had to overcome when developing electronic paper? When I began working on the project, I didn’t have the know-how to charge the particles, disperse them properly or form an aqueous microcapsule, so we did seek assistance from experts in the fields of chemical engineering and material science. However, they were highly skeptical that we could successfully charge particles. They were particularly unconvinced that we would be able to create oppositely-charged particles and place them into a microcapsule, achieving the electromigration that I believed was possible. And so we set out to do it ourselves, and were ultimately successful. Only recently have the systems integrators like Visionect created the types of flexible development kits that engineers and designers can use to demonstrate concepts that previously needed to have been sketches. Already at MIT we were able to successfully charge both white and black particles, place them into individual microcapsules, coat those down onto a surface and apply an electric field to achieve a contrast matching that of newspaper. The ongoing challenge later tackled by the E Ink® company which we founded, as well as dozens and eventually hundreds of very creative scientists and engineers, was to produce these charged particles at scale, reliably. We needed to form microcapsules, coat them down into an individual layer, and then – most importantly – create a closed system involving dozens of different organic materials that would remain stable over years of exposure to high electric fields and the extremes of temperature and humidity. In your opinion, how does electronic paper compare to other digital screen technologies, such as LCD or LED? What is the power consumption of e-paper when compared to LCD or LED? All around us are reflective surfaces that provide contrast through pigments – black pigments like carbon black, white pigments like titanium dioxide, which we can find in paints and in inks – and we’re accustomed to interacting with these reflective surfaces, as they provide pleasant experiences under a wide range of lighting conditions. Our objective in building a highly reflective, high-contrast-ratio electronic display material was to give life to the surfaces around us in a way that we’re accustomed to – as opposed to the somewhat intrusive, glowing nature of the emissive displays like LCD and OLED. Another important design criterion for us was to create a display material that could be bistable, or multi-stable, meaning: assuming that the image was not changing that often (which was the use cases we were pursuing, e.g. reading, signage), no power would need to be applied. The display fundamentally is a capacitor not a resistor, so all we need to do is place a charge onto both sides of the display, which is a very low-power activity, and then once the particles have moved in response to that electric field, we can remove the field and the image will persist. We envisioned this enabling all kinds of new portable applications, in particular the ones in which low power for large areas is a design requirement. So, aesthetically, our objective was to be significantly better than emissive displays, and from a power consumption point of view our objective was also to be significantly better. In terms of form factor, because our intention from the beginning was to form e ink as a printable film, we envisioned curved displays that could be integrated by industrial designers into all types of interesting consumer and industrial products. 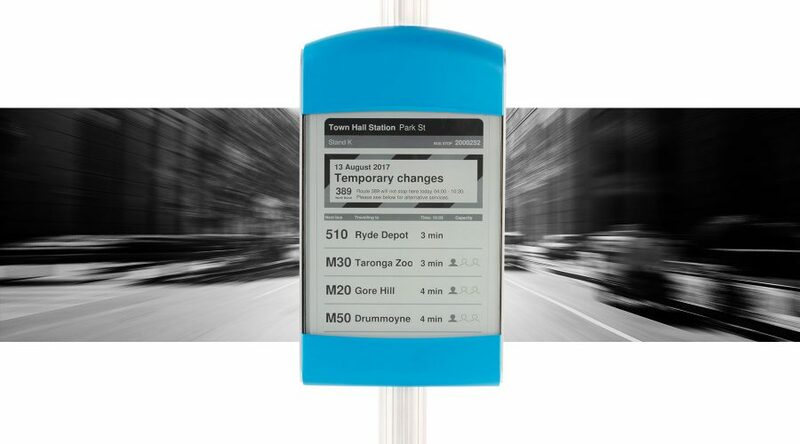 Do you see electronic paper becoming popular in applications other than e-readers, for example in digital signage? 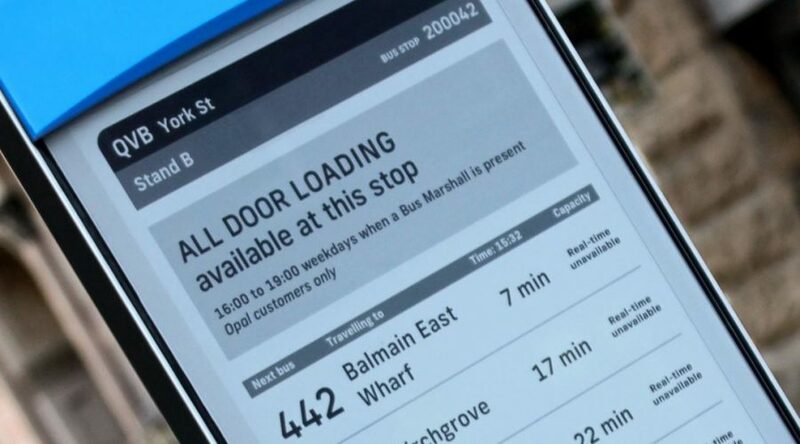 Why do you think the adoption of e-paper in signage and wearables has proved somewhat slower than in e-books? Only recently have the systems integrators like Visionect created the types of flexible development kits that engineers and designers can use to demonstrate concepts that previously needed to have been sketches. And I think functional prototyping is an important element in the product development process. I know that there have been many interesting concepts over the years that have been conceived but not commercialized, due to the lack of a robust, affordable, flexible development kit. 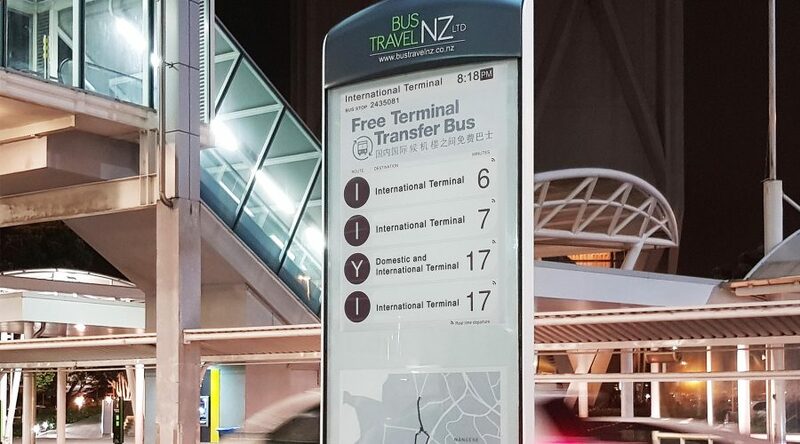 E ink can be adhered beautifully and invisibly to all kinds of surfaces, conveying relevant information when needed and then disappearing invisibly into the background as appropriate. In signage in particular, because it’s an enterprise application, the upgrade cycles are much slower than those of consumer electronics. Wearables is an emerging category, the use cases are now revealing themselves, and creative designers are forming new applications. Certainly flexible, high-contrast, low-power displays are going to be an exciting piece of the wearables story, but it’s also going to take creativity from product designers and marketers to help people understand what this new category is for and why it’s important. What do you think the future holds for electronic paper? Our original vision was, and remains, that e ink is a flexible, elastic sticker with an integrated control circuitry active matrix mechanism that can be adhered beautifully and invisibly to all kinds of surfaces, imbuing them with the ability to express either aesthetic or artistic designs, or more importantly, convey relevant information when needed, and then disappear invisibly into the background as appropriate. So, I think we still have a long way to go on that journey – glass-based LCDs will remain broadly speaking rectangular and serve a very specific role in the display industry – but there is room for a flexible, elastic, paper-like grayscale or full-color display that updates less frequently but offers a significantly more attractive, organic, low-power experience for the consumer.